Is The Tea Party Finished? : It's All Politics Where insurgents arose with a clear claim to being Tea Party favorites, they have lost. In many cases, they have flat-lined weeks before the primary. Is The Tea Party Finished? Tea Party activists rally in front of the U.S. Capitol in June 2013. The time has come for us all to take a long, step-back look at this thing we call the Tea Party. The results from Republican primaries in a dozen states so far this year strongly suggest that the party, such as it was, is over. It may not have made sense to use the term "party" at any time in this movement's brief history. This year, that fact has become increasingly obvious. The Tea Party was not so much an organized force in itself as an outburst that others tried to harness. The name was shorthand for an energy that suddenly coursed through the conservative community in the first months of the Obama presidency. The sources of that energy were and are highly diverse. The effects were undeniable in down-ballot races in most of the country in 2010 and 2012. But the energy never really assumed the form of a conventional political party, and it did not build the machinery that could produce reliable candidates and campaigns. Yet the handle of "Tea Party" remains irresistible for ad-makers, activists, journalists and a boundless world of commentators in the social media space. That is why it surprises a lot of people to see this Tea Party suddenly looking so impotent, even as President Obama and his party look increasingly vulnerable. One would think the most anti-Obama elements of the right would be on the march. Yet Republican incumbents and other candidates backed by the party's business and political elites have won the nominations for November nearly everywhere anyone was noticing. 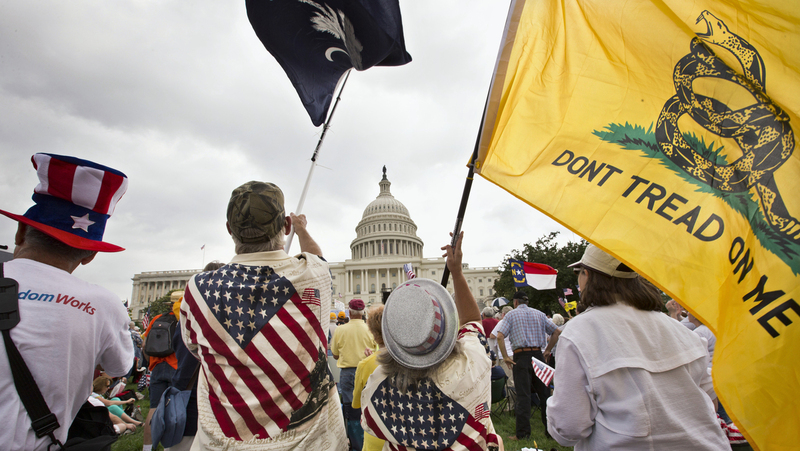 Where insurgents arose with a clear claim to being Tea Party favorites, they have lost. In many cases, they have flat-lined weeks before the primary. There are consensus explanations for this. Most important: Incumbents caught in the cross hairs have been far better prepared and funded than they were in 2010 and 2012. They have adjusted their behavior in office — especially in the U.S. Senate — and their behavior back home as well. They have raised huge early money and taken the fight to their challengers. As a result, the challengers often saw their support decline as the primary neared. Some of their wounds were self-inflicted, the kind of controversies that engulfed their predecessors of 2010 and 2012 only after their nominations were secured. Moreover, the formal campaign structures of the GOP have mobilized against the various independent groups that have been driving what we have loosely labeled the Tea Party — including FreedomWorks, Heritage Action, the Club for Growth, the Senate Conservatives Fund and Americans for Limited Government. All have trophies on the wall from backing anti-establishment or populist campaigns around the country. But they have yet to back a winner this year at the statewide level, with the exception of Ben Sasse in Nebraska, whose win was a split decision (some Tea Party affiliates backed his main opponent). The upshot, at least at this stage of the primary season, is the full reinstatement of the Old Guard in every region. There could still be a stunner in Mississippi or elsewhere this summer, but the opportunities are dwindling fast. So is the Tea Party finished? Yes, if you insist on calling it the Tea Party. Because that phrase implies the phenomenon is some sort of organized unit in the usual sense. And the Tea Party never really was one. Better to think of it as an expression of frustration on the part of conservative activists and true believers who blamed the GOP hierarchy for Barack Obama and a Democratic Congress. These often angry populists thought the 2008 GOP candidate and campaign had lacked the fire and fervor they themselves still felt for the cause. And they feared that Republicans in Congress would lie down and let the Obama regime do whatever it wanted. The Tea Party pushback organized early in 2009, first around taxes ("Taxed Enough Already?") and then around the new health care law — derisively dubbed Obamacare. In 2010 and 2012 the loose-knit band beneath the Tea Party banner disrupted the Republican nominating process around the country. Most notably, it derailed Republican incumbents or party-anointed candidates for the U.S. Senate in Alaska, Nevada, Utah, Colorado, Texas, Missouri, Indiana, Kentucky, Florida and Delaware. All 10 seats had been (or were expected to go) Republican, but the Tea Party nominees wound up winning only four. Yet even when it was strongest, the Tea Party movement never coalesced as a political organization. By comparison, Ross Perot's quixotic bid for the White House in 1992 had more characteristics of actual party organization, and so too did the fading echoes of it in the United We Stand movement and the Reform Party that followed. The Tea Party has always been a label in search of something to stick to. It has never had even a symbolic national leader or a central committee — or even a national meeting. Some of the organizations that use Tea Party in their name raise far more money than they convey to any candidates, seeming to exist primarily to raise money so that they can exist. The senators who represent the movement at its most successful — Marco Rubio, Rand Paul and Ted Cruz — differ profoundly on such issues as immigration, foreign intervention, voting rights and fiscal policy. At this point, the phrase Tea Party has nearly lost all meaning. It can still be used as a catchall descriptor for any candidate, commentator or activist who wishes to be further to the right than some real or imagined opponent. And unless a dramatic reversal of fortune comes soon, it will soon have one other connotation: futility.